On the right side of the hedgerow. All photos courtesy of Topping Rose. 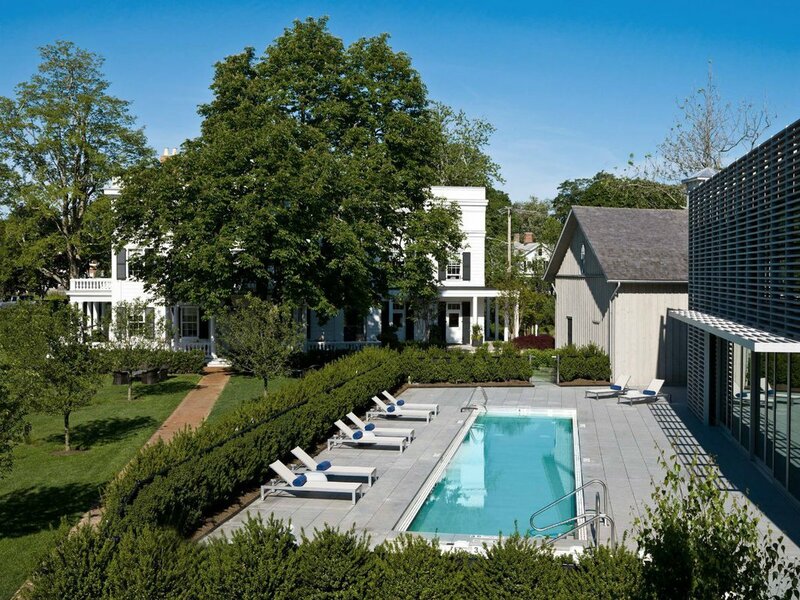 There's plenty of full-service luxury in the Hamptons, storied summer playground for the rich and famous. But thanks to rigid zoning laws on the East End, there's very little in the way of hotel development. Chains are nowhere to be found and the few lodging options are scattered along the string of seaside communities. 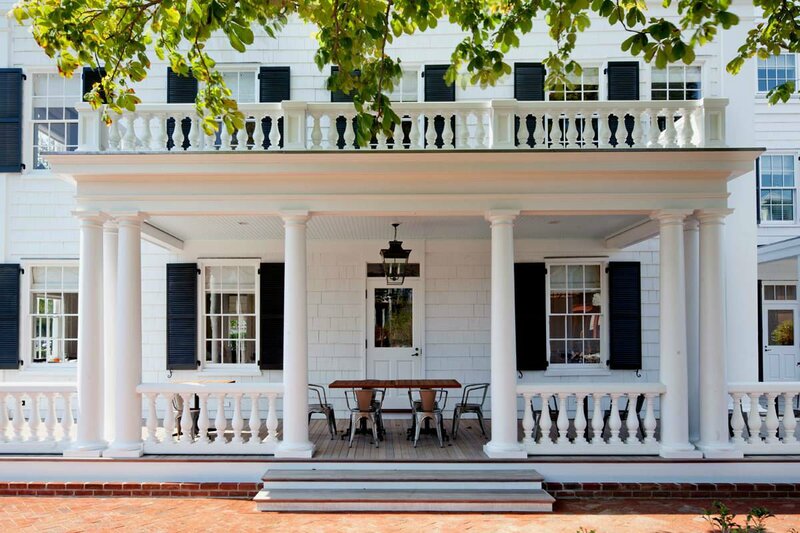 The show-stopping Topping Rose House, a bright white Greek Revival mansion anchored at the crossroads of Bridgehampton and Sagaponack, is a tony address year-round for visitors who want a Hamptons "cottage" to call their own. Vibe: Affluent and elegant. "Roughing it" at the beach means wearing tennis whites and waiting fifteen minutes for your lychee martini to arrive. Standout Detail: An engaging art collection — contemporary paintings, video installations, photographs, and sculpture. 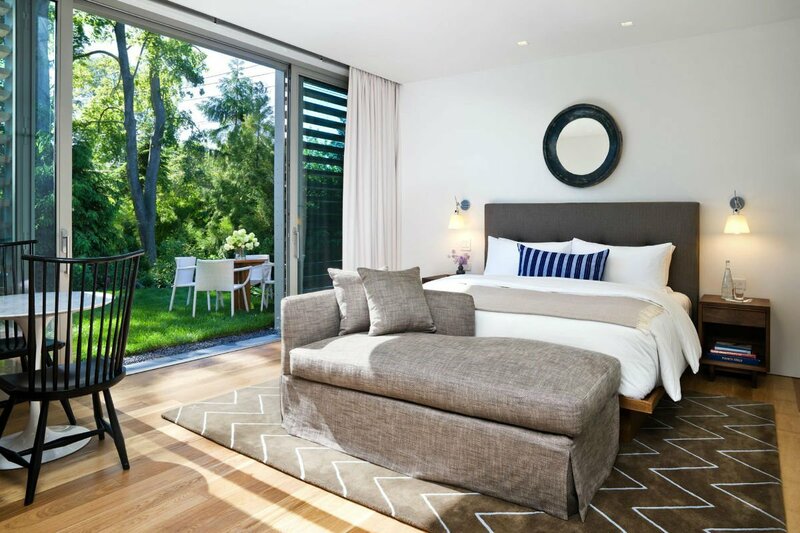 Rooms: There are sixteen rooms and six suites — all spacious and modern, with luxurious bedding, WiFi, flatscreen TVs, soaking tubs, and floor-to-ceiling windows or sliding glass doors to private patios. Cottage One-Bedroom Suites have excellent views over the barn and farm, a dining area and a roof deck for intimate gatherings and celebrations. On Site: Spa services, fitness center, heated pool, event space, wraparound verandah (prime for cocktail hour), complimentary beach shuttle, bicycles. 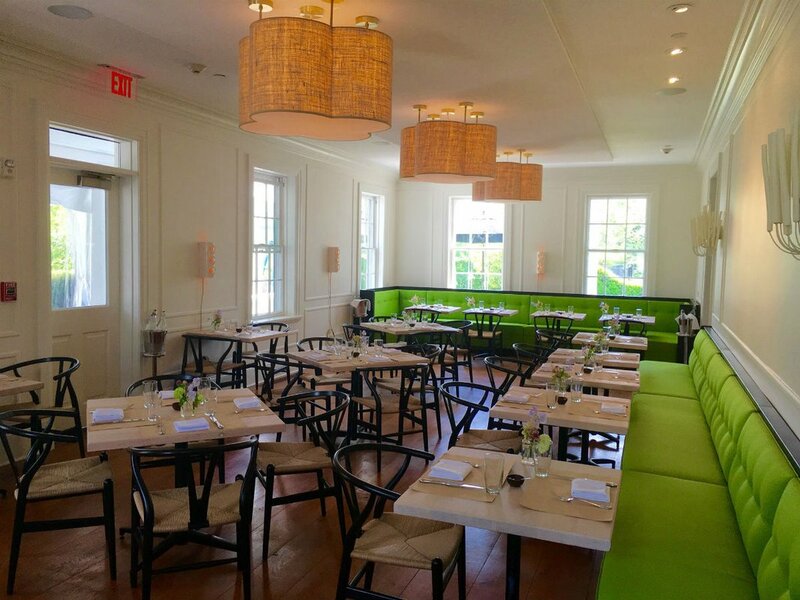 Food + Drink: Plush green bench seating, contemporary fixtures, and wishbone chairs are elegantly arranged in the Jean-Georges at Topping Rose House dining room. Dishes celebrate the seasons and feature produce plucked from the hotel's one-acre farm and seafood sourced from nearby fishermen. 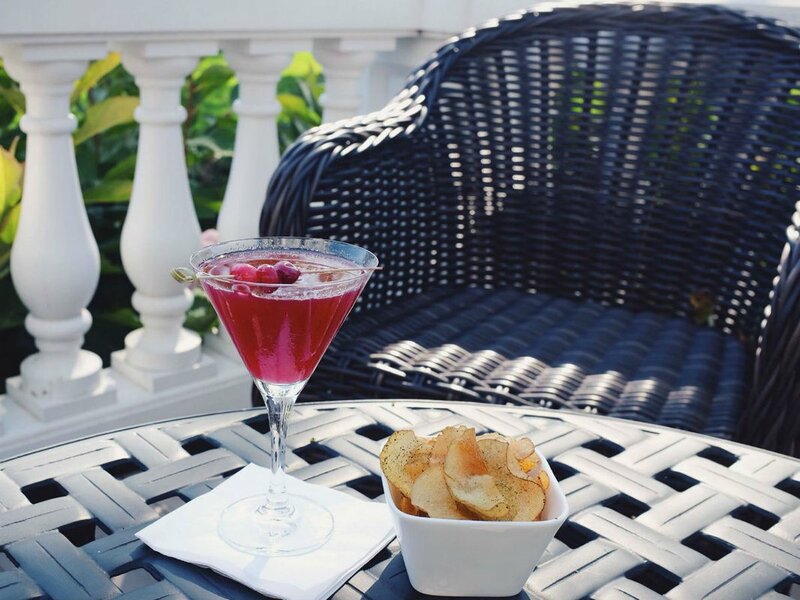 Besides breakfast, lunch, and dinner, there's an all-day menu and a cocktail bar. This Place Is Perfect For: Hampton honeymooners. One-percenters on holiday. Spend the night. Email for reservations. Topping Rose is anchored on Montauk Highway (Route 27), the main artery of the Hamptons. The town of Bridgehampton has a small Main Street with a lot of charm. Beyond small shops and boutiques, there's World Pie for homespun pizza until midnight, Yama Q for cozy Japanese, Pierre's for a French bistro-at-the-beach feeling (popped collars and impeccable tans), and a nostalgic luncheonette called Candy Kitchen that does swift ice cream business on hot days. An unassuming little house is florescent light artist Dan Flavin's art institute. 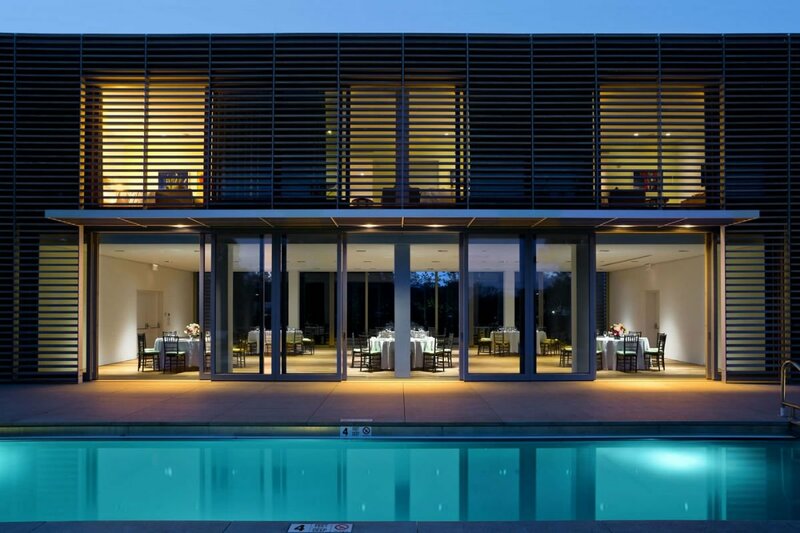 The beautifully executed Parrish Art Museum is a quick drive, as are Wölffer Estate Vineyards (an Italianate villa offering wine and cheese pairings while overlooking the vines), the polo grounds, and Sag Harbor (a more substantial town for a walk around). Take the bike or the hotel shuttle to the beaches — surely some of the nicest in the country.